Deutsche Bank has implemented a cross-border payment structure for a manufacturer, which will enable it to transfer Renminbi (Rmb) to its German headquarters. HELLA is a manufacturer of lighting technology and electronic products for the automotive industry and has worked with Deutsche in Mainland China since 2008. The solution is designed to maximise the company’s working capital, while minimising forex risk exposure. This is a first for HELLA, Deutsche’s head of Greater China global transaction banking Carl Wegner, tells GTR, with the bank developing the solution especially for the client. However, he confirmed the bank is in talks with other potential partners over similar solutions. The German bank has been one of the leaders in Rmb innovation in recent years. In March, it announced the first interbank host-to-host platform with Bank of China, a solution made available to the electronics giant Bosch. 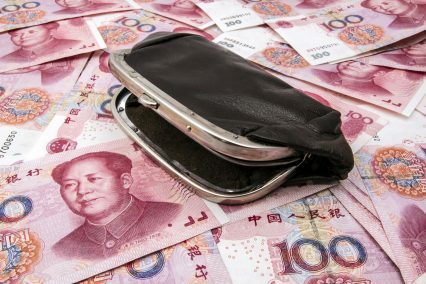 Cross-border cash pooling has been one of the most popular recent tech trends in the Asian trade space, with companies searching for ways of accessing their Chinese cash reserves in locations around the world. Until recently, it was only possible to transfer money from Special Economic Zones to the likes of Hong Kong and Macau. The situation has developed, with the Chinese government widening the geographical coverage of cross-border lending regulation. This latest solution will allow HELLA to use its group level liquidity in China, as well as allow for Rmb to be transferred back to Germany – obviously within the constraints of China’s capital controls. “The cross-border Rmb cash pooling solution will greatly benefit our global business as it maximises our liquidity utilisation and improves our intra-company financing capabilities in this important market for us. We feel that Deutsche Bank’s expertise in on and offshore Rmb business provides a significant added value to our success,” says the company’s head of corporate finance and tax.